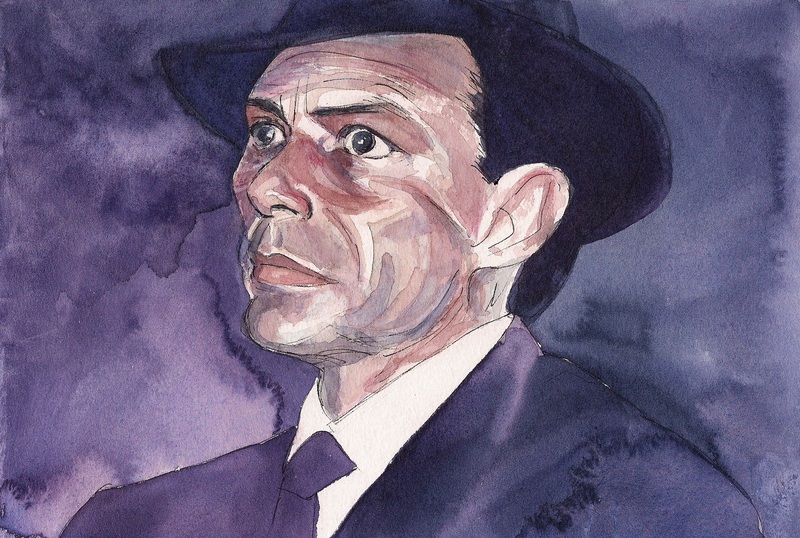 This entry was posted in illustration and tagged aklasu magazine, frank sinatra, loneliness, only the lonely, q. v. hough, sad, watercolour. Bookmark the permalink. Pourquoi pas, un de ces jours, un autoportrait à l’aquarelle? Grazie Marco! It’s true that it’s his brooding and mercurial qualities that make Sinatra’s interpretations so great. There almost seems to have been an intentional implied discrepancy between the projected character of Frank (and Dean too, in a different way) and the wholesome, even syrupy sentimentality of much of their material. I had never heard “The House I Live In”, but judging from the snippet they played here it sounds pretty cornball! One of my personal favourites is “Last Night When We Were Young”, where Frank’s melancholy is really given free rein.